In the health care arena, there are drugs called adjuvants, which are just given to patients because they make other drugs more effective. 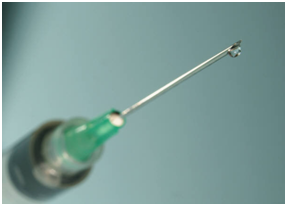 Adjuvants are used to boost the power of vaccines, make cancer treatment more effective, and to strengthen the immune system. There are even adjuvants that make pesticides and fertilizers more effective. What does this have to do with business intelligence? Well, I know a lot of you use Avaya Call Center and CMS. Avaya has great products and they have captured leading market share throughout the industry. But one of the common challenges we hear from customers on the Avaya platform is that there are limitations with it when it comes to operational analytics. For example, have you tried to extract data from the Avaya platform to do a deeper dive into the factors that drive your business? Or for that matter tried to combine it with data from other operational platforms in the call center such as financial, HR, and forecast data? It's here where the Avaya platform -- as good as it is -- needs an adjuvant. And this is one of the reasons our customers love HardMetrics. The fact sheet we put together describes how we make it easy for call center-centric companies to get the most from their Avaya investment. Take a look at it below, or read the fancy two-page PDF version. With HardMetrics, you can quickly and easily gather data from Avaya, combine it with other data sources, and transform it into operational analytics that will identify best practices -- so those best practices can be adopted across your organization -- as well as issues that need to be triaged and managed for improvement. Without further adieu, here's our pitch to those of you on the Avaya platform. Call centers worldwide depend on Avaya Call Center and Avaya CMS to keep things running smoothly. With these powerful tools, Avaya has earned a reputation as the leading platform in call handling and call management. Now, with HardMetrics, call center-driven companies can get even more value from their Avaya investment. HardMetrics makes it possible to dig deeper into CMS data, letting decision makers view easy-to-understand dashboard and scorecard-based reports and analyze all facets of the CMS deployment. HardMetrics enables you to view and navigate CMS data from the perspectives that are most valuable to you. We deliver greater insights into the information that CMS is producing, and easily integrate CMS data with other ACD data as well as operational platform data. The result? Deeper insight into your call center operations, increased operational efficiencies, and an improved bottom line. HardMetrics provides on-premise and on-demand business intelligence and operational analytics solutions for call centers and the companies that depend on them. Our customers use HardMetrics to transform call center and operations data into actionable information that drives efficiency, profitability, and customer satisfaction. 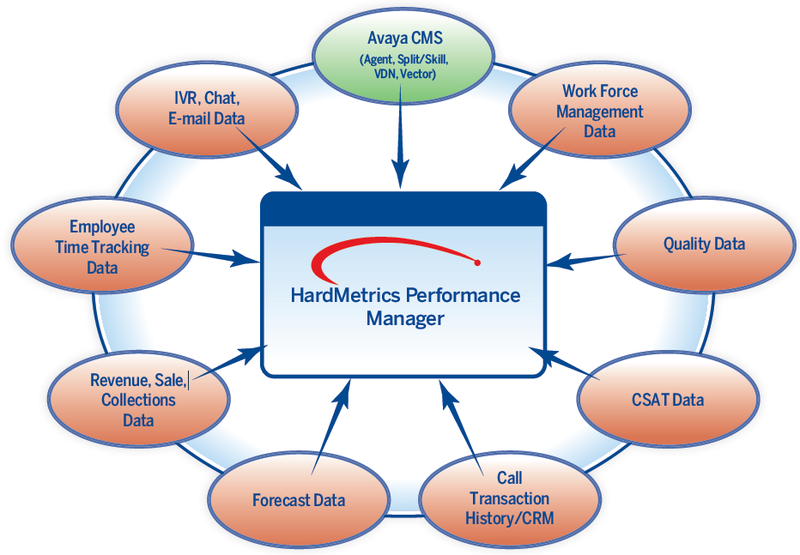 HardMetrics Performance Manager (HPM) is effective both inside the call center to improve efficiencies and operations, and outside the call center to improve business unit and process performance. Eliminate silos of data and piles of separate CMS reports. Combine and correlate CMS data with other mission critical platform data, including ACD data from other vendor platforms. Create cross system metrics by combining CMS data with other platform data elements, such as revenue per call, conversion rates, and agent indexes. Consolidate and analyze data in a single view across multiple CMS deployments. Eliminate the frustration of static summary reports by deploying actionable dashboards, scorecards, reports, and visual objects all supporting drilling, filtering, and dynamic data navigation. Easily transform complex CMS data names to standardized and recognized business metric names. Define your data retention timeline requirements to support historical and trend reporting and analysis. Interactively access data from enterprise down to agent or split/skill detail levels. Drill, filter, slice, and dice data by any parameters you like, such as agent, team, location, client, program, campaign, split, queue, etc. 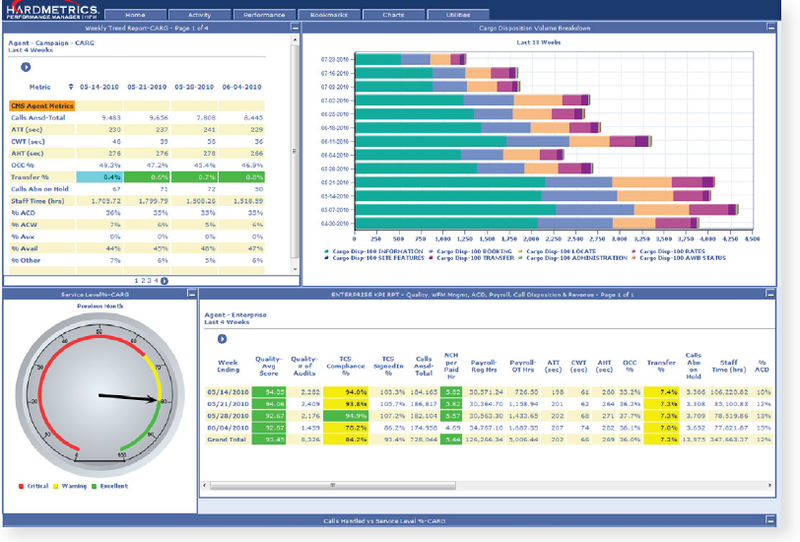 Advance from CMS and individual platform reporting to consolidated performance management and operational analytics. Empower business users, executive managers, and management with critical information that resides in CMS. HardMetrics makes data integration and correlation a simple, straightforward process. 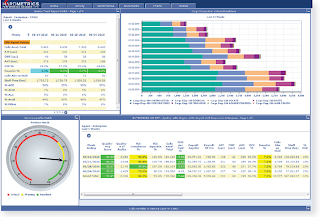 Data from a wide range of sources, including vendor and partner applications, in-house/proprietary systems, internal databases, data warehouses, flat files and even spreadsheets, can be quickly integrated into HardMetrics Performance Manager. from sources and platforms that are the backbone of sales, service, and overall corporate operations. 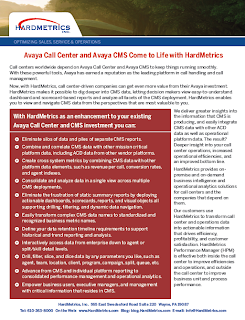 When Avaya CMS data is viewed through HardMetrics Performance Manager alongside other critical data sources, trends in the call center and their impact outside the call center come to life in an easy-to-read, easy-to-understand, easy-to-navigate user interface. Learn how HardMetrics can unleash the power of your Avaya CMS investment. For more information on HardMetrics solutions, please contact us at Info@HardMetrics.com or 610-263-8000. Avaya, Avaya Call Center, and Avaya CMS are registered trademarks of Avaya, Inc.